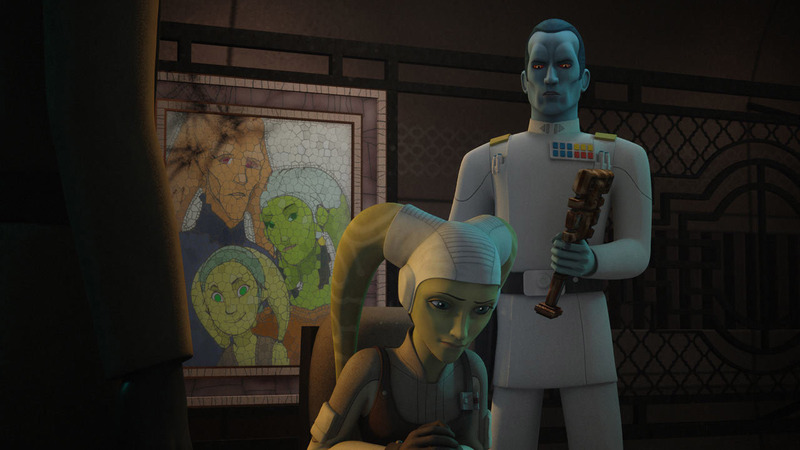 They say every devil gets their due, and that certainly has been true for Star Wars Rebels. So much attention is paid to the crew of the Ghost — and rightfully so, they’re amazing — that the tremendous rogues gallery that the show has presented is oftentimes overlooked. 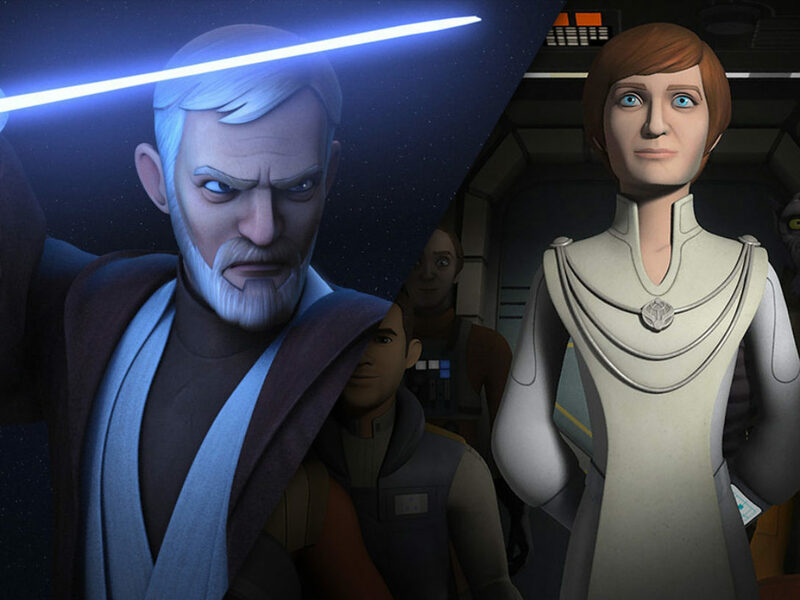 From grand, epic encounters to intimate duels, Rebels has provided our heroes with one memorable showdown after another. As we head toward the series finale on Monday, March 5 at 8:30 p.m. ET on Disney XD, here’s a look at six episodes featuring villains we love to hate. 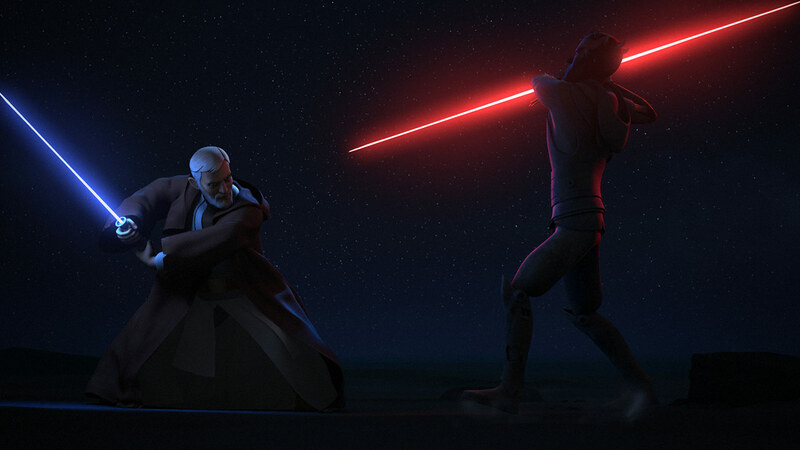 For years, Obi-Wan and Maul were the most bitter of enemies (though when it comes to bitter, no one where the crown like Maul). 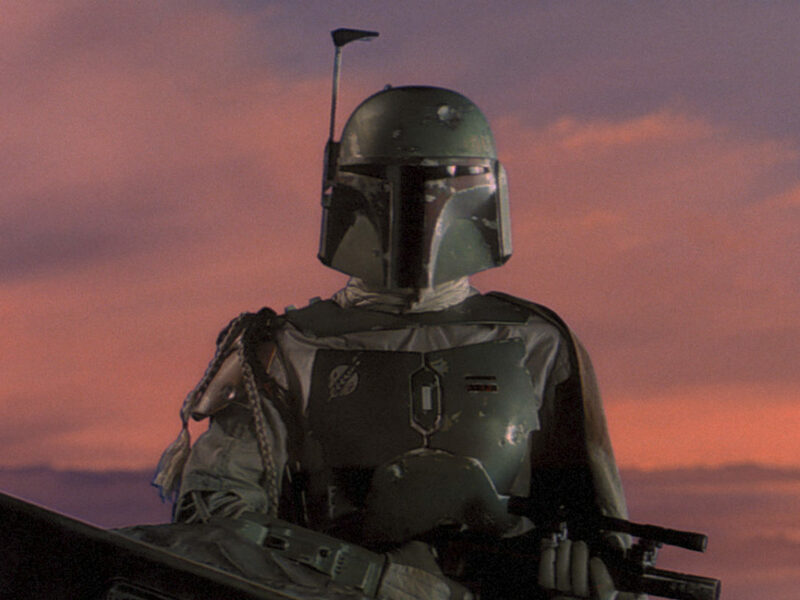 Maul — back when he was still Darth Maul — killed Qui-Gon Jinn, Obi-Wan’s master; Obi-Wan then cut Maul in half. Not to be deterred from exacting revenge simply because he lost the bottom half of his body, Maul, fueled by rage and hatred, resurrected himself, vowing to exact vengeance upon Obi-Wan — the man who not only stole his legs, but also his destiny. Their rivalry escalated throughout the Clone Wars and came to a head on the dusty plains of Tatooine. Their final encounter is a masterpiece of storytelling and character; the smoldering Maul baring his teeth against the calm, controlled Obi-Wan. We see more than a lightsaber duel in this moment, we see two sides of the Force. On one side there’s purpose beyond one’s self, and on the other side there’s nothing but a mask of self-absorbed fury. 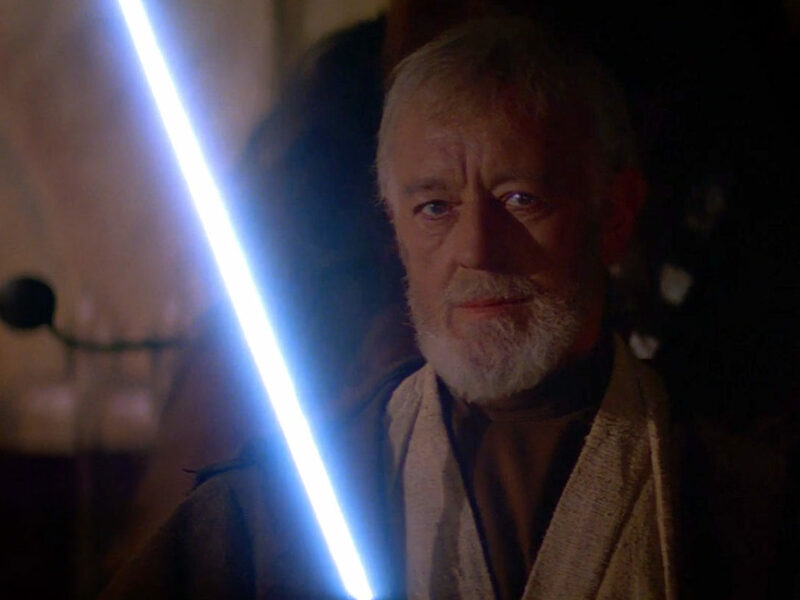 We know where the story goes, but Obi-Wan’s and Maul’s final showdown, set against the Tatooine night sky, beautifully paid off one of Star Wars’ most epic rivalries. 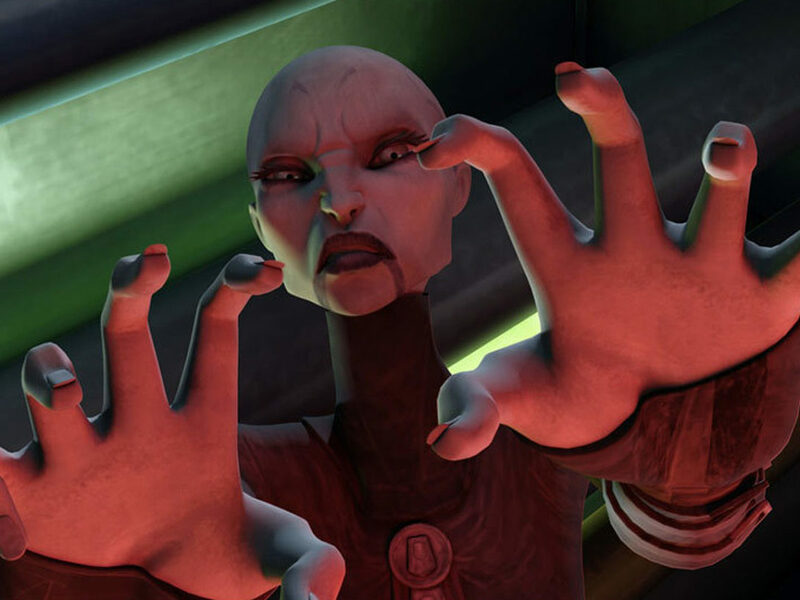 For most of Season One, we see Ezra struggle with the responsibility of being strong with the Force. It’s a blessing, but it’s also a burden. Interlaced with Ezra’s struggle to come of age with the Force was Kanan’s own struggle to, in his own way, come of age. Left to survive in a galaxy that wanted him extinct — Kanan was just a Padawan when Order 66 was enacted and his master, Depa Billaba, was murdered — Kanan had grown accustomed to keeping the Force on the periphery of his existence. But then Ezra came into his life, this boy who needed a teacher. Who needed a mentor. Who needed a father. Kanan, lost in his own doubt and insecurities, never felt up to the responsibility — not until it is nearly taken from him. 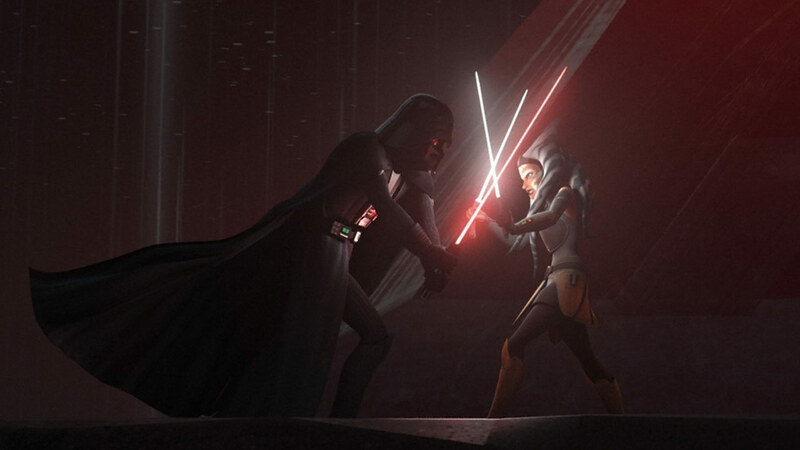 In their final duel against the Grand Inquisitor, Kanan sees the truth: No matter how much they try to hide who and what they are, the Empire will never stop hunting him and Ezra. “I have nothing left to fear,” Kanan tells the Inquisitor, and we understand that his fear came from embracing who and what he is. But take away that fear — and force Kanan to protect the people he loves — and Kanan finally became what he was always meant to be: a Jedi. 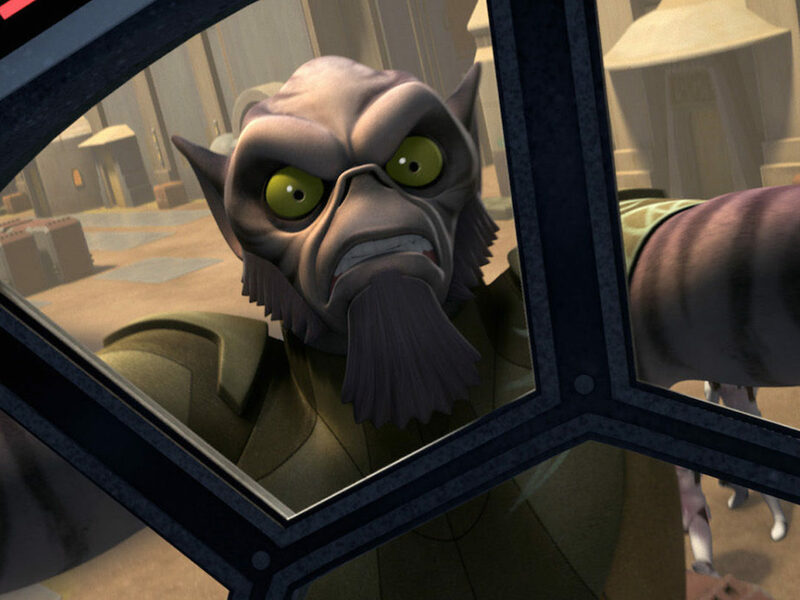 From his very first appearance on Rebels, Agent Kallus has proven to be nothing short of surprising. He’s evolved from a deadly agent of the Empire to the rebellion’s inside man (Fulcrum) to a full-on rebel right before our eyes. But Kallus’ finest moment may have come when he was still loyal to the Empire and trapped with Zeb on a frozen Geonosian Moon. 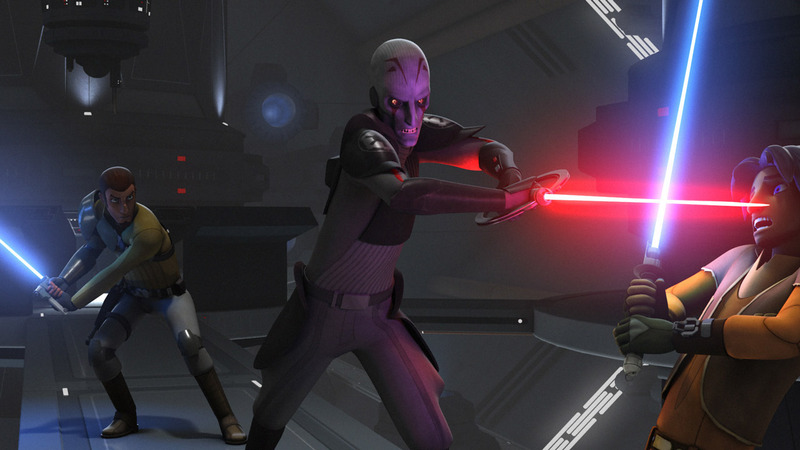 Forced to cooperate with his enemy to survive, Kallus reveals hidden depths, hidden complexities, and hidden honor. It’s a rich and rewarding episode that plumbed the definition of warfare and the toll those who wage it must pay. 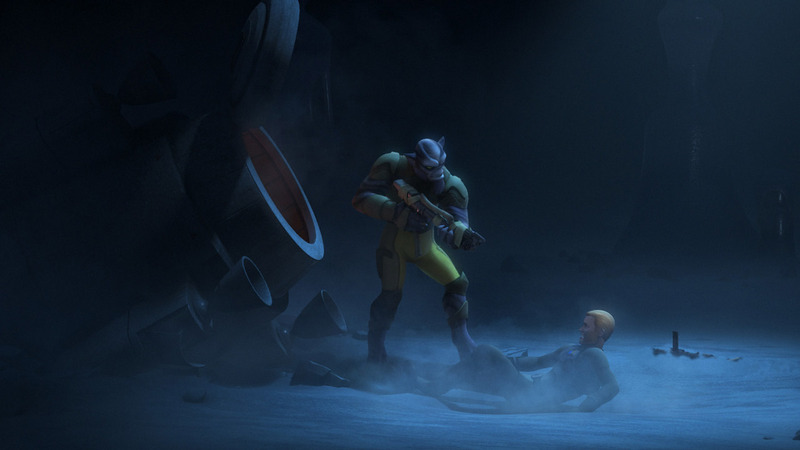 Kallus walks away from his experience with Zeb a changed man, and it’s been a most satisfying experience seeing that change take hold in his character in the seasons that follow. When Thrawn was introduced to the Rebels universe, a lot of people wondered how much of the character would remain true to Timothy Zahn’s beloved creation. Turns out, a lot. Introduced in Zahn’s seminal book Heir to the Empire, Thrawn has since been recognized as one of the greatest villains in all of Star Wars. A master stagiest, the blue-skinned grand admiral became known for his unparalleled ability to wage war like it was a galactic game of chess. One of his most defining characteristics, in addition to war games, was his love of art. 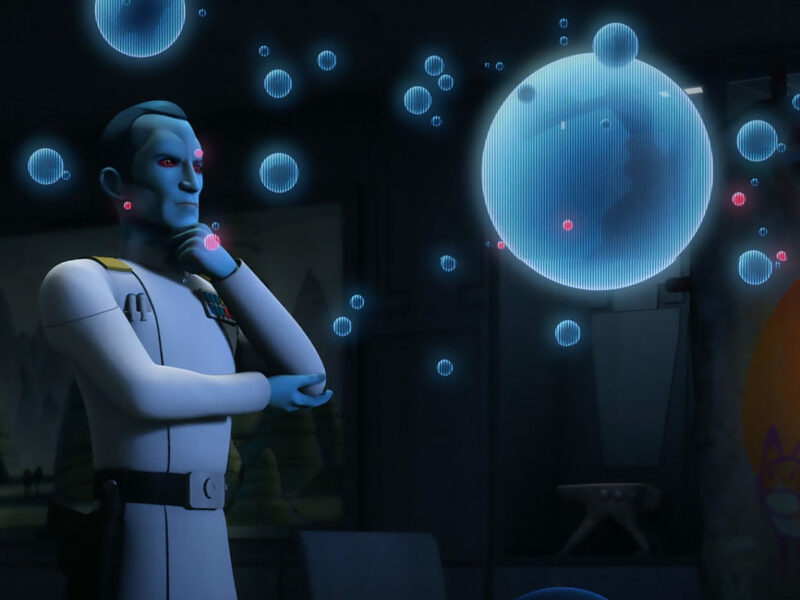 In Rebels, not only is Thrawn’s contemplative, measured mind captured to perfection, but so is his love of the finer things in life. Particularly his dedication to thoroughly knowing an enemy, even their art. Resultant is a chilling standoff between Hera and the grand admiral and the very beginnings of a rivalry that has pushed the rebellion to its very brink. 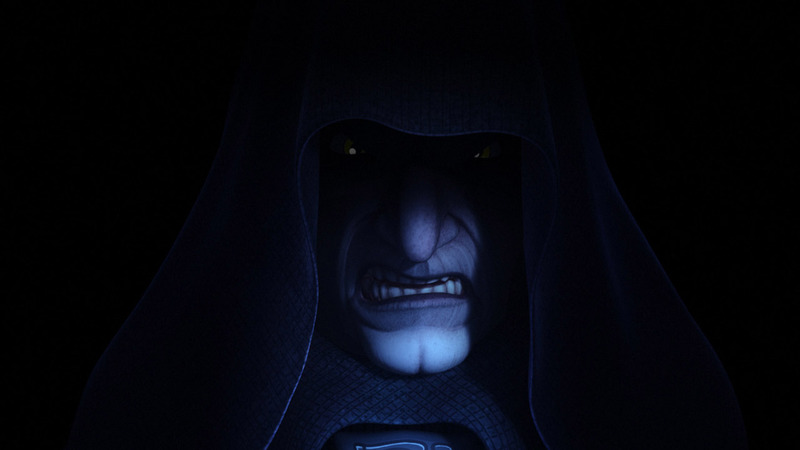 There’s nothing better than the hysterical cackling of the galaxy’s most villainous soul — the one, the only, Emperor Palpatine. One of things that makes Palpatine such an incredible villain is how completely over the top he is (a quality the wonderful Ian McDiarmid embraces with gusto); his goal is nothing short of controlling the entire galaxy — and even that’s not enough. As we learn in “A World Between Worlds,” Palpatine isn’t satisfied with controlling every star system, charted or otherwise. No, he wants to rule all space and time, as well. He craves absolute power, absolute loyalty, and anything short of that is failure. It’s a perfect scenario, then, for a secret Force portal to be found and for the Emperor to want power over it. Still, that doesn’t diminish the chills he provides when his visage materialized in one of the portals, that iconic voice of his demanding Ezra to provide him with the key to the unlocking the portal. 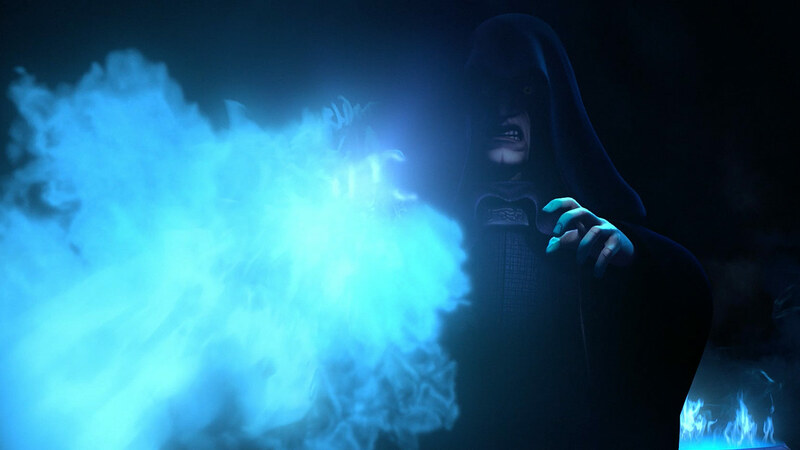 And when Ezra refuses and Palpatine unleashes his anger, we fear the possibility of his success. We fear the idea of the Emperor — this cackling, furious monster — gaining galactic omnipotence. Few characters can do so much in such little space, and in the short span of this episode, Palpatine delivered yet another iconic Star Wars moment. 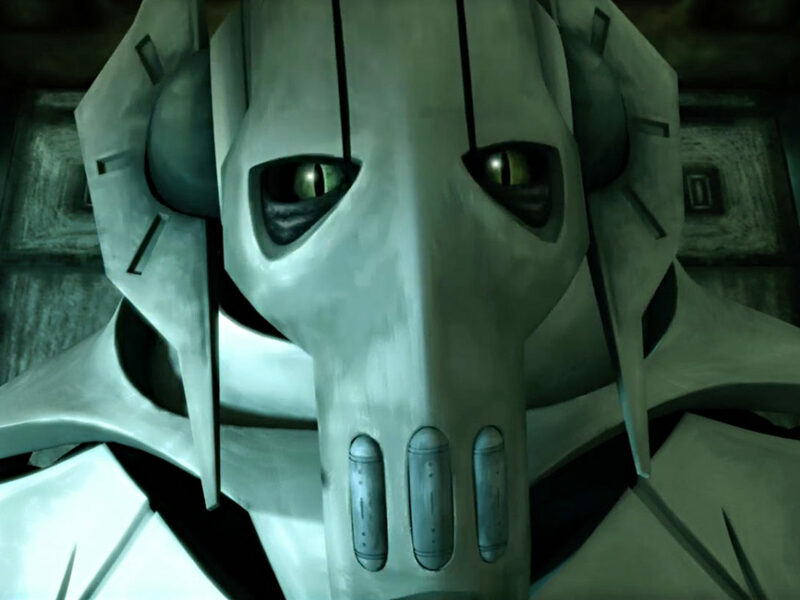 What’s your favorite villain-centric Star Wars Rebels episode? Let us know in the comments below! 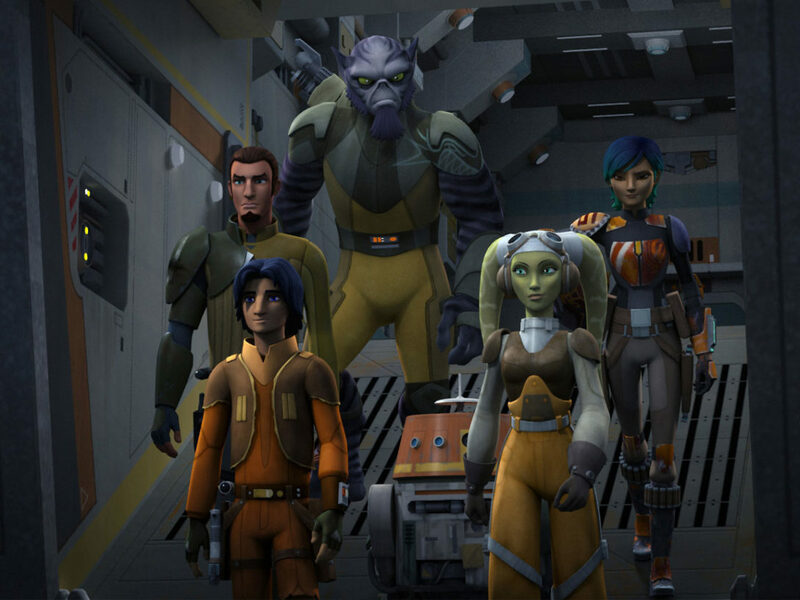 The epic 90-minute conclusion of Star Wars Rebels airs Monday, March 5, beginning 8:30 p.m. EDT on Disney XD. 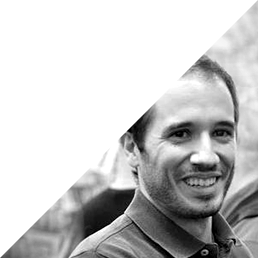 Michael Moreci is a comics writer and novelist best known for his sci-fi trilogy Roche Limit. His debut novel, Black Star Renegades, is set to be released in January 2018. Follow him on Twitter @MichaelMoreci.